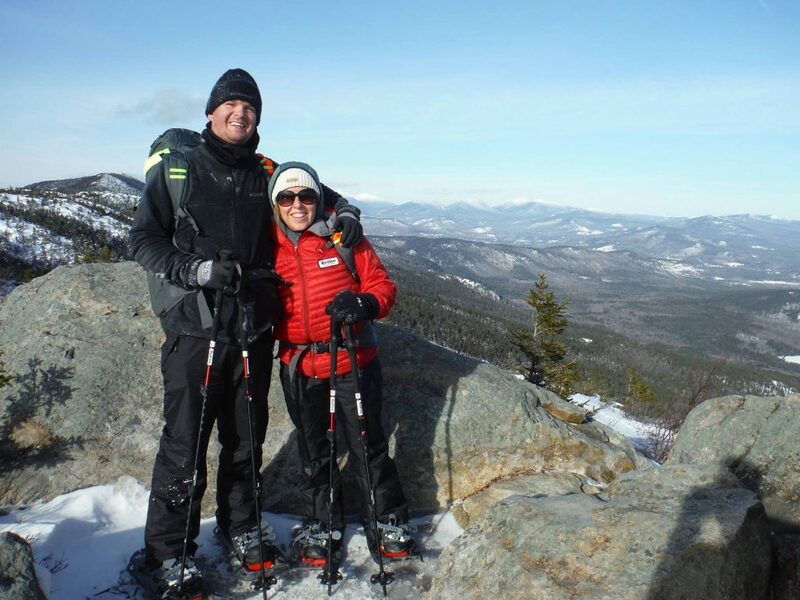 Our mission: introduce a couple from Florida to the wonders of winter in New Hampshire and the amazing fun that can be had in snow. Even though one of them had never even seen the white stuff, we gladly accepted the mission. We had two days with them to work our magic. 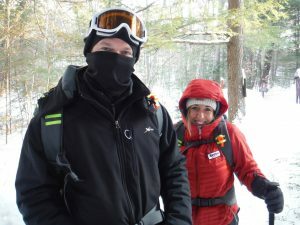 On day one we decided a nice snowshoe hike up South Moat Mountain would provide the requested views and activity level. 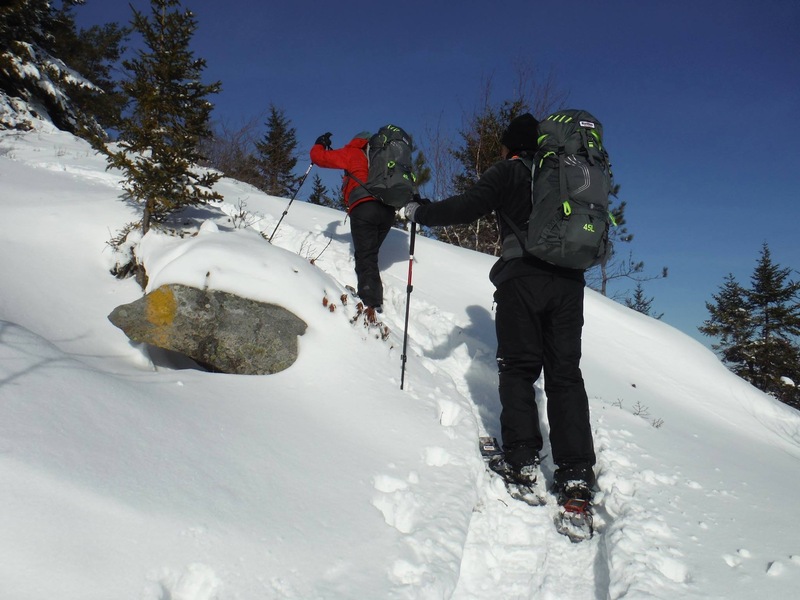 It is a fantastic hike and the rewards truly sublime… especially in winter. According to our guests, we nailed it. Time, distance, difficulty, views… all presented and accounted for. Perfect, they said. But we knew, the smiles said it all. 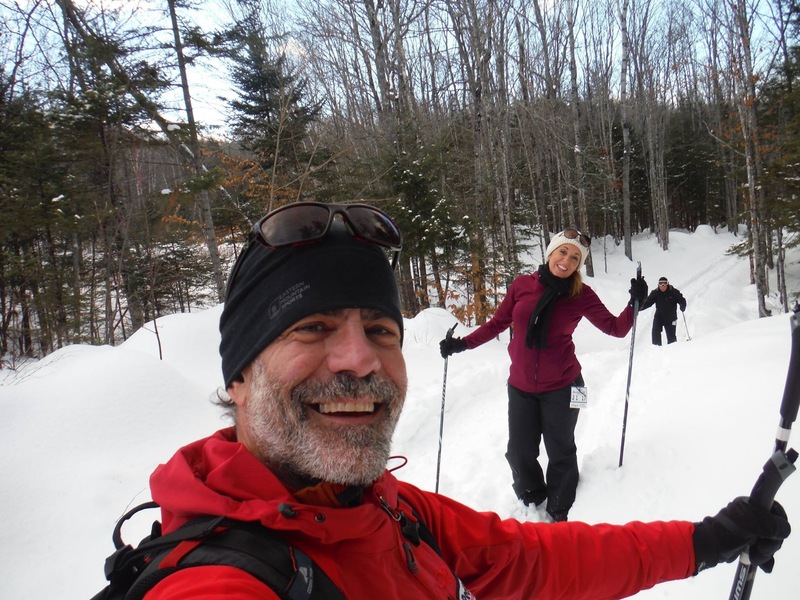 On day two we decided some Nordic skiing in the backcountry would be fun. And it would, but neither had done any kind of skiing before so we decided to start out on groomed surfaces. Specifically those surfaces over at Jackson XC in Jackson. We were glad we did. They caught onto it right away. I’d like to say it was our expert instruction, but really it was them and a natural ability to glide on snow. Because they were so new to skiing, however, we decided to stay where we were — buying some passes — and just practicing the various means and methods. Anyway, the backcountry has no “Cocoa Cabin” in the forest. This was a civilized treat. 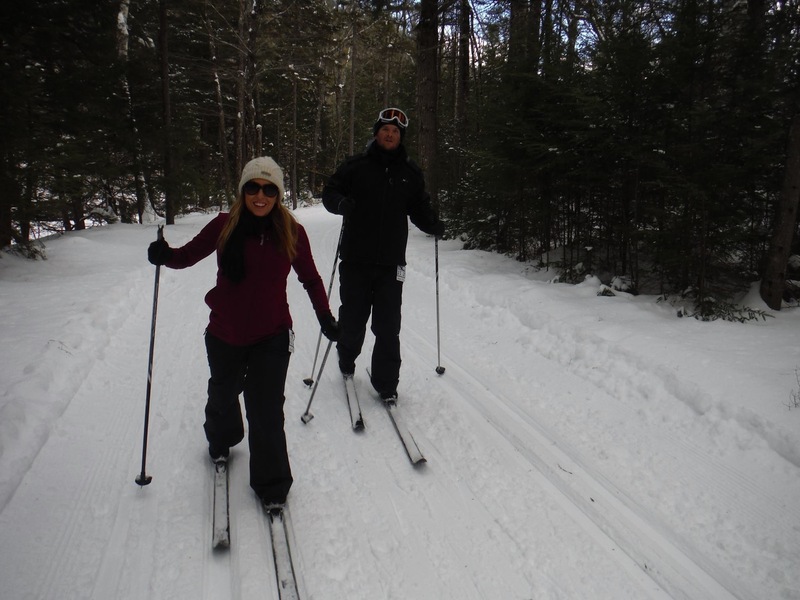 On day two Nordic skiing was on the menu. Great times!